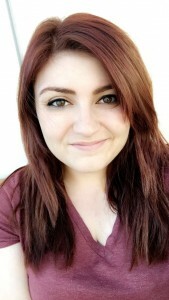 Carina McVeigh is a recent graduate from California Lutheran University where she double majored in Theatre Arts (emph. Technical Theatre) and Theology & Christian Leadership (emph. Music & Worship, Youth & Family Ministry). While at Cal Lutheran, she performed with the CLU Choir, the Women’s Chorale, and the Regals Quartet. She has also performed in various musical theatre roles including Mother in Ragtime, Sarah Brown in Guys and Dolls, Leisl Von Trapp in The Sound of Music, and Marion Paroo in The Music Man. She plays several musical instruments including guitar, clarinet, ukulele, and percussion, and is currently the Praise Band Director at Mount Cross Lutheran Church in Camarillo, CA. She is so excited to be participating in her first season with Arete Vocal Ensemble, and is grateful to Dr. Morton for this and so many other opportunities throughout the years.